Gaetz - How Does Swamp Freak Adam Schiff Have Any Credibility Left? Gaetz – How Does Swamp Freak Adam Schiff Have Any Credibility Left? 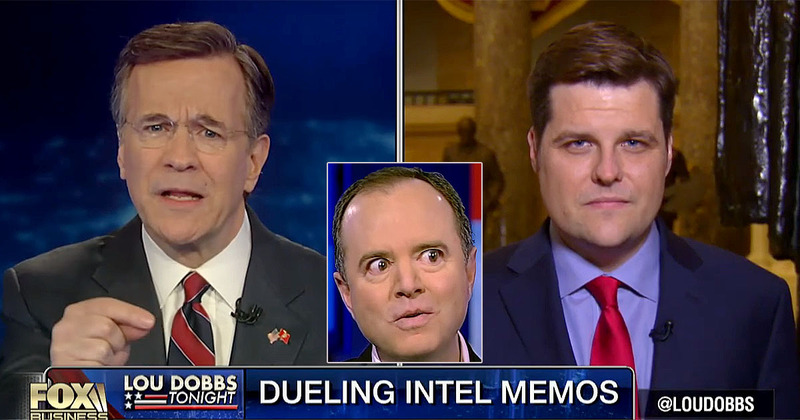 Rep Matt Gaetz (R-FL) joins David Asman, who is filling in for Lou Dobbs, to discuss the Democrats’ designated stuntman, bobble-head Adam Schiff (D-CA) and what he’s doing with the release of the Democrat rebuttal to the Nunes Memo. He says, “Of course the President is going to have to redact some of that information, but I don’t know how Adam Schiff has any credibility left with the American people.” He reminds the audience that the Nunes memo was full of sources and methods, according to Chicken Little Schiff and his comrades. He also was on the bandwagon accusing Devin Nunes of unethical conduct, for which he was totally cleared. He also points to the accusations that the GOP changed the memo, when, aside from grammatical corrections, the two minor changes were in response to a request from Schiff himself and from the FBI. Asman points out that every Republican on the Intel Committee voted to release the Democrat memo, no Democrats voted to release the original GOP memo. Gaetz addresses the exposed fact that “cash at the Democratic National Committee was convertible into a FISA warrant to spy on Americans. That’s outrageous no matter which party you’re a member of. Noting that the FISA judges didn’t have all of the facts, that is where Gaetz believes that laws were broken in the form of material omissions. They also discuss a spending measure for the military that was just passed by the House and the dim prospects for the dysfunctional Senate following suit. 2 Comments on Gaetz – How Does Swamp Freak Adam Schiff Have Any Credibility Left? The quandary I have with all these legislators is that they have been telling us for almost a year what they should do but never do anything. They have oversight for these agencies, are the majority on the committers, and I heard Gaetz say we don’t need Benghazi type hearings, we need to take action. I believe they ran the Benghazi hearing. I whitelisted you, Ben, so you should be ok but if not please let me know. 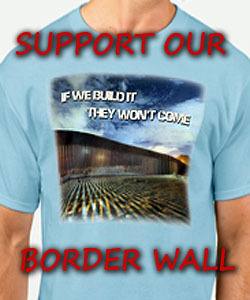 I also deactivated their “anti-spam firewall” whatever that is – please keep me posted and thanks.